Cornerstone Montessori Elementary School's mission is to support children from culturally and economically diverse backgrounds living in or near St. Paul's East Side through a rigorous and high-impact Montessori program that empowers them to make positive decisions, develop self-discipline, and create a true sense of responsibility for themselves and others in their community. The vision of Cornerstone Montessori Elementary School is a world-class, cross-cultural elementary learning community featuring the powerful and highly differentiated Montessori curriculum, which comprehensively prepares children to achieve at high levels and to excel as leaders in the 21st century. It will provide the highest quality education to all children, regardless of their socio-economic or cultural backgrounds. In January of 2011, Cornerstone Montessori Elementary School was recognized as a Minnesota Charter School authorized by Volunteers of America. Cornerstone opened in the fall of 2011 serving children in grades K-2 and added a grade each successive year and now serves children in grades K-6. 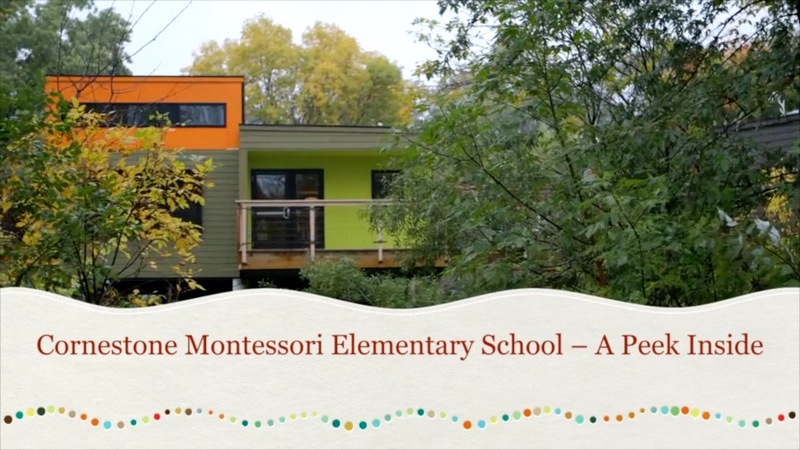 Cornerstone Montessori Elementary School was founded due to a recognized need for an authentic, AMI Montessori elementary program on St. Paul’s East Side. Cornerstone Montessori Elementary School is a tuition-free, public charter school and is the only public charter school in Minnesota recognized by the Association Montessori Internationale. Cornerstone serves a diverse community of children, empowering them to achieve at high levels and excel as leaders in the 21st century. Cornerstone is succeeding in transforming the lives of children in under-resourced communities. The school’s curriculum intentionally fosters the collaborative skills children need in today’s increasingly global world, empowering them to make positive decisions, develop self-discipline, and create a true sense of responsibility for themselves and others in their community. Listen to what Cornerstone children and their families value about their Montessori experience.